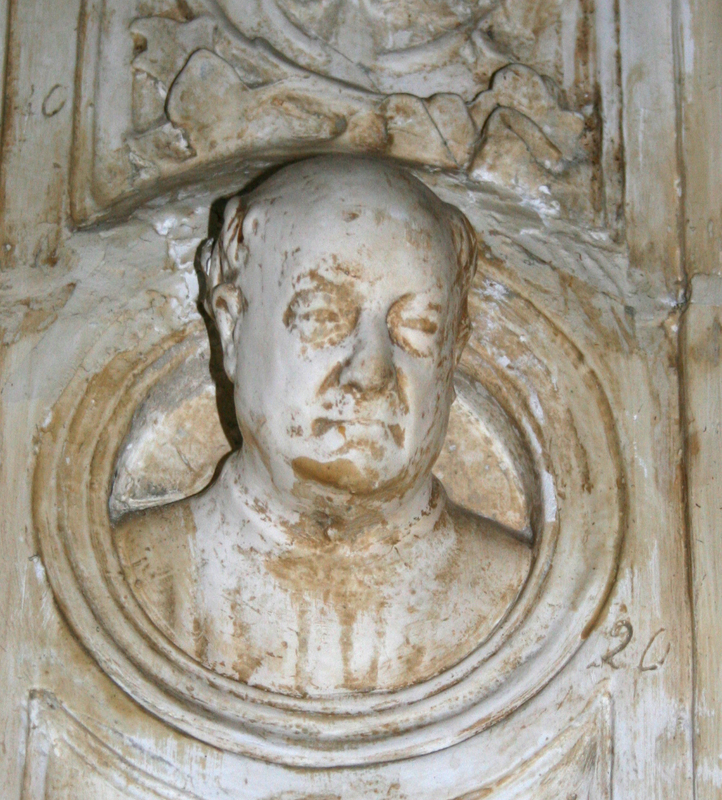 Lorenzo Ghiberti, a Florentine sculptor from the early Renaissance period, is best known as the artist behind the bronze doors of the Battistero di San Giovanni in Florence, Italy. Installed on the east side of the baptistery in 1452 and dubbed the “Gates of Paradise” by Michelangelo, the doors were instantly recognized as a masterpiece and have since been known as an icon of Renaissance art. In 1401, Ghiberti won the competition announced by the Arte di Calimala (Cloth Importers Guild) to design doors that would eventually be placed on the north side of the baptistery. The runner up in the competition was Filippo Brunelleschi, designer of the dome of The Florence Cathedral. It took Ghiberti twenty-one years to complete the doors, which portray scenes from the New Testament. When he finished he was recognized as a top artist in his field, and a result he received a second commission in 1425 for the east doors of the baptistery which would become his best-known work. The seventeen foot tall, three-ton bronze doors depict ten scenes from the Old Testament, including (from top left) Adam and Eve, Cain and Abel, Noah, Abraham, Isaac with Esau and Jacob, Joseph, Moses, Joshua, David and Goliath, and Solomon and the Queen of Sheba. 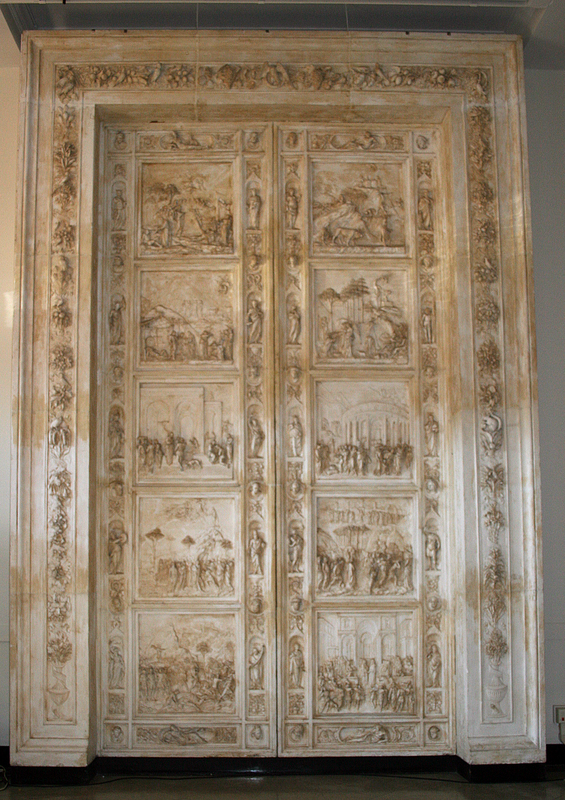 Celebrated for their compelling portrayal of Biblical stories and Ghiberti’s command of high and low relief, the doors also introduced a new narrative strategy in sculpture - the simultaneous depiction of successive scenes. Over the years, the Gates of Paradise survived a flood, vandalism, and air pollution. 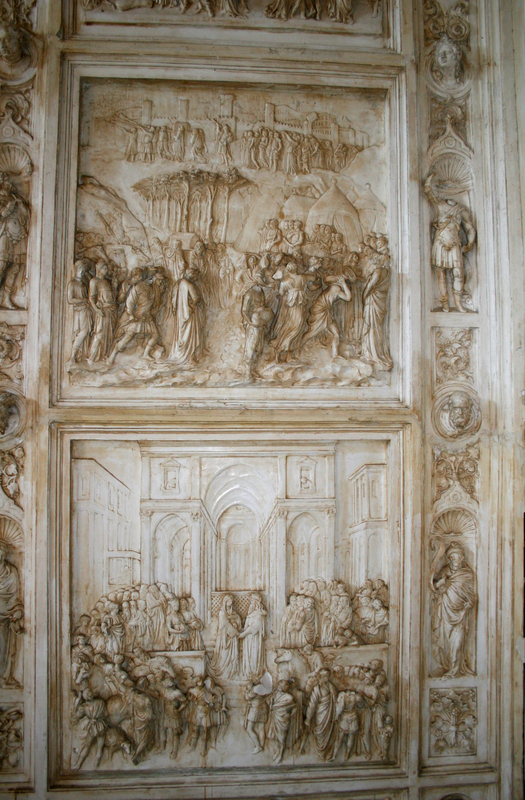 In 1990, the original doors were moved to the Museo dell’Opera del Duomo and a replica was installed on the baptistery. Students from Hyde Park High School, nearby to Taft's Midway Studios, originally paid for the reproduction of the Gates of Paradise found in the reception hall of the first floor of the Architecture Building (Williams 1958). The reproduction was originally to be a part of Lorado Taft’s "dream museum," and was later purchased by the University for a total of $15,500 from Taft’s widow (Scheinman 1981). 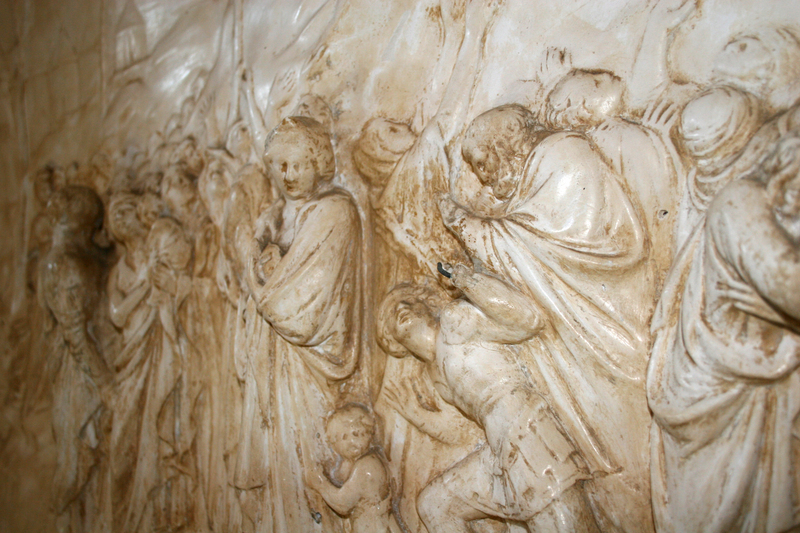 While much of Taft’s collection was put into storage underneath the south end of Memorial Stadium and in the south half of Mumford Hall, some items, including the cast of the Gates of Paradise, were displayed in the Architecture Building’s “Hall of Casts.” While the Hall of Casts was eventually dismantled (date unknown) at a time when plaster casts had lost favor as an acceptable substitute for original masterpieces, the cast Gates of Paradise remained in situ. Sometime after receiving the casts, Taft was inspired to write a play about them. Called "The Gates of Paradise," the play was held at the Renaissance Society at the University of Chicago in April of 1931. 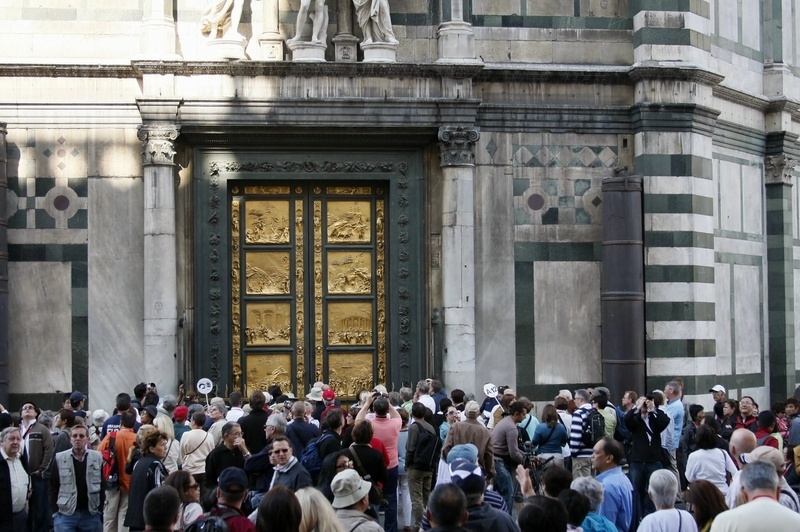 The play narrates various artists from all over Italy competing for the commission to design the gates, and imagines the artists of Florence celebrating the doors years after their completion. 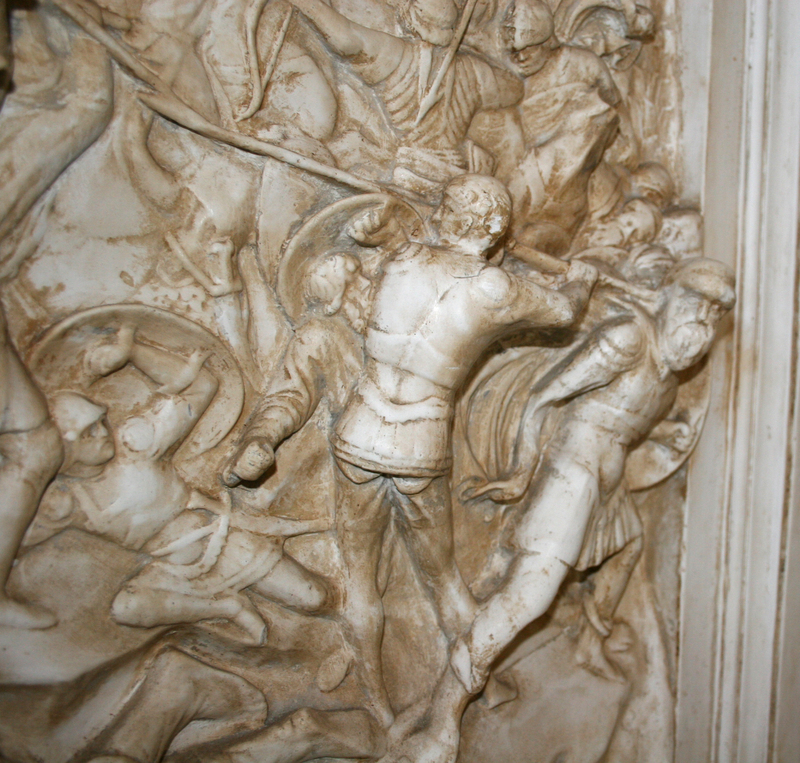 Taft's play featured the cast of the "Gates of Paradise," as well as other reproductions of sculpture made at Midway Studios. “Gates of Paradise cast,” ExploreCU, accessed April 21, 2019, https://explorecu.org/items/show/197.